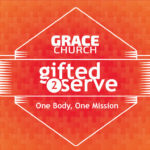 We began a new series several weeks ago called Gifted 2 Serve. And we began to look at Ephesians 4 specifically on how God has empowered us and gifted us 2 serve. The first thing we discovered is that you are a gift to the church. You are a gift. God has given you to the the church as a gift to accomplish what he desires. As we have been looking at how God has gifted us 2 serve. We discovered that there are 3 different types of gifts that we are given as we saw in Ephesians 4 there are people gifts given by Christ to the church. That is APEST. Have you taken the test? Today we will begin talking about the second passage about gifts given by God the Father to the church. Those are the skill gifts, and they are found here in Romans 12. We in the next couple of weeks we will look at them in detail and see what specific skills God felt was important to list here. It is important to remember that each of these God lists, are also direct commands to each of us. Just because we may not be specifically gifted in a certain way, does not mean that we are absolved of the responsibility to serve God in those ways. Then there is the manifestation gifts (from the Holy Spirit) These are found in 1 Corinthians and we will eventually discuss how those work. The key is that those are givn in the moment for a specific purpose as they are needed to accomplish the work of the holy spirit in the lives of people. As we look at Romans 12 it important to understand the context of the passage. Paul begins with a very crucial word. Therefore! I was taught a long time ago by one of my pastors that whenever you see therefore you must look and see what it is there for. This is a transition word for Paul as he changes modes of what he is talking about. Romans 1-11 is the subject of this therefore. What is Romans 1-11? The GOSPEL! Paul is in essence saying because of this Good News… This is how we live it out. Stop right there. Do you know what the good news is? What is the Gospel? Paul tells the church because of the good news that Jesus has done it all, that he served us, we now get to serve Him by serving each other. This is why in Matt 25 he says whatever you have done to “the least of these” you do it to me. So Paul says Therefore! I urge you… The work urge is a fascinating word in the greek. The word is PARAKALEO – the para means beside. We still use that suffix today, parallel lines that run beside one another. KALEO means to call out to. The word PARAKALEO means to call to ones side. To strengthen to encourage to comfort. In Fact the Holy Spirit is called the PARAKLETE the encourager. So Paul is begging us to come along side Him as the Holy Spirit come along side us. 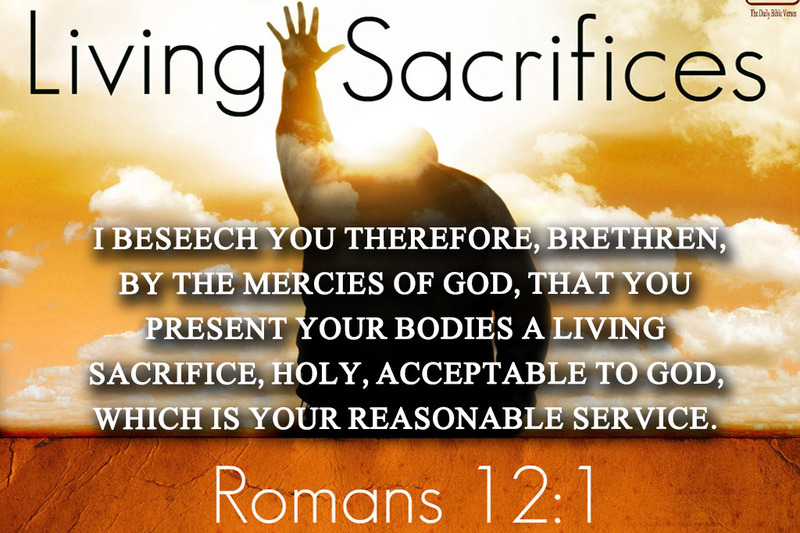 And in light of the good news of God’s mercy, we are to offer our bodies as a living sacrifice. It is interesting that he uses th idea of a living sacrifice here. He is calling forward the idea of the sacrifice of the Old Testament and saying that the sacrifice of the old covenant was only useful when it died but our sacrifice is instead only useful when it is lived out in service to Him. When we commit to service of the king we are seen as holy or the idea is consecrated. The word consecrated is powerful in this context because it means to set something apart of a special service. Not used for common work but made special for a special purpose. We are also seen acceptable – well pleasing, accepted. Many people think they could never be used by God. That they are too damaged to be used by Him for a special purpose but this verse reminds us because of the Gospel we are all able to be used by God and when we serve Him we are accepted and pleasing to Him. Then Paul reminds us this is our reasonable “Service of Worship” We have talked about this before but it bears repeating, worship is not just about singing songs, it is about serving God though the body He has called us into. This word literally means for bodily service (e.g., workers on the land, or slaves). When we serve as part of a greater body we are worshiping God by bringing Him Glory. But this all stems from the Gospel. It is because of what He has done, is doing and will do in us that we are able to worship Him through serving. This verse has been used so many times in the context of the battle of our minds and our stinking thinking, and rightly so. But do not forget that it is in the context of how God desires for us to serve in His body. We cannot serve rightly until we are transformed by the renewing of our minds. What is it that changes the way we think about ourselves and others? The Gospel. It is the standard that changes us. The word renewed means, a renewal, renovation, complete change for the better. Can we do that on our own? It is the thing that reminds us we are not worthy but that we are loved. It reminds us that we are all works in process and that because God is patient with us, that we can be patient with others. It tells us we have not arrived anywhere or accomplished anything in our own strength but instead only in the strength and gifts that He gives to us. When we let the Gospel transform us then we are able to discern what is God is asking us to do, how and where HE would have us serve with the gifts that HE gives us. So that we all will be useful and profitable and pleasing to Him. Notice what this leads to His perfect will. Remember Eph 4: 12 to equip his people for works of service, so that the body of Christ may be built up 13 until we all reach unity in the faith and in the knowledge of the Son of God and become mature, attaining to the whole measure of the fullness of Christ. We will walk and work in His perfect will, lacking nothing. All of this our service, our gifts are because of the Gospel. Today we get to take communion. Today I want us to focus in on what God has done for you and in you. He has called you, He has given you skills and abilities to be used in His service, to glorify Him. Today We remember as we serve Him with the gifts He gives to us we do it in light of the cross.